With over a thousands islands, one of the most beautiful coastlines in Europe and some of the most highly rated beaches on the planet, who wouldn’t want to visit Croatia’s top beaches? Me, that’s who! 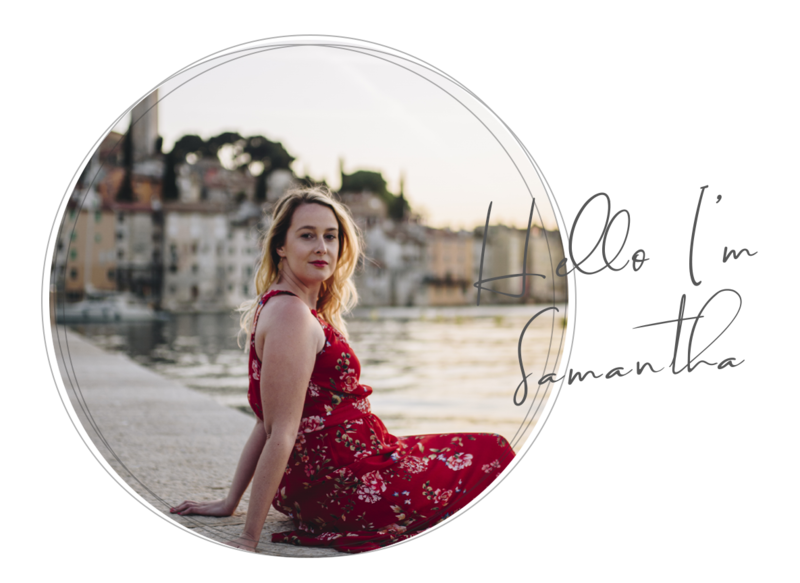 And I am about to tell you why you should avoid Croatia’s top beaches this summer too! The Golden Horn on a midweek summer’s day in July. Now imagine what it would be like on a weekend? 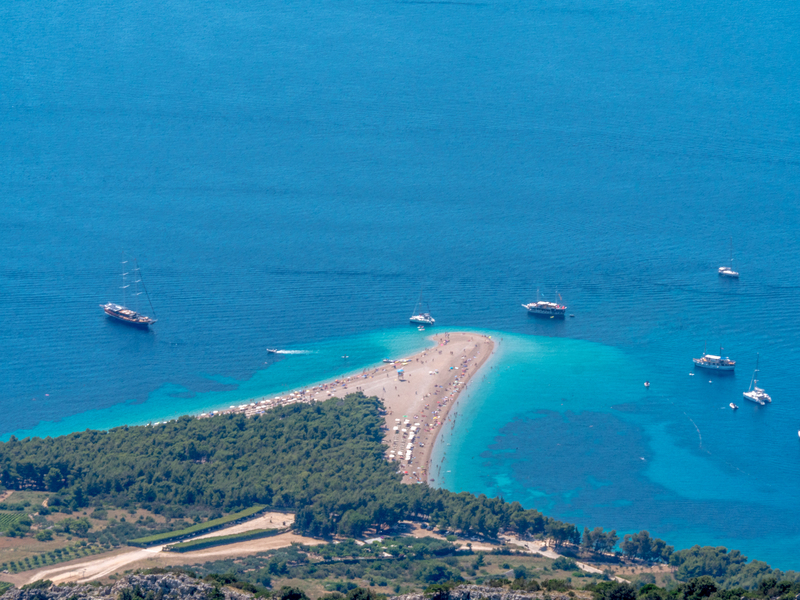 Take Brac Island’s Golden Horn (Zlatni Rat) for a prime example. 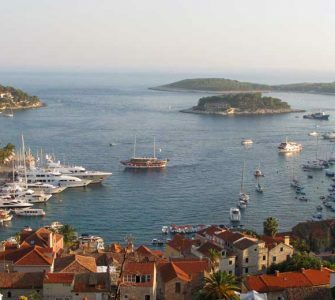 The Golden Horn is probably the most spectacular of Croatia’s beaches and the most famous. Situated just in front of the small village named Bol, this idyllic looking peninsula looks like beach heaven right? To some degree it is. But don’t be fooled, look carefully. We took a day trip here by catamaran just to visit this beach. Was it a lovely beach? Yes! Was it worth visiting? Sure (if you have a spare 100 EURO per person to visit it for the day from Split). Was it the best beach in the world? Definitely not! It was incredibly crowded, noisy and while the water was blissfully cool, the beach was not as relaxing as we had thought. Kids splashed water everywhere, people walked over our towels and it was difficult to find a spot close enough to the water. 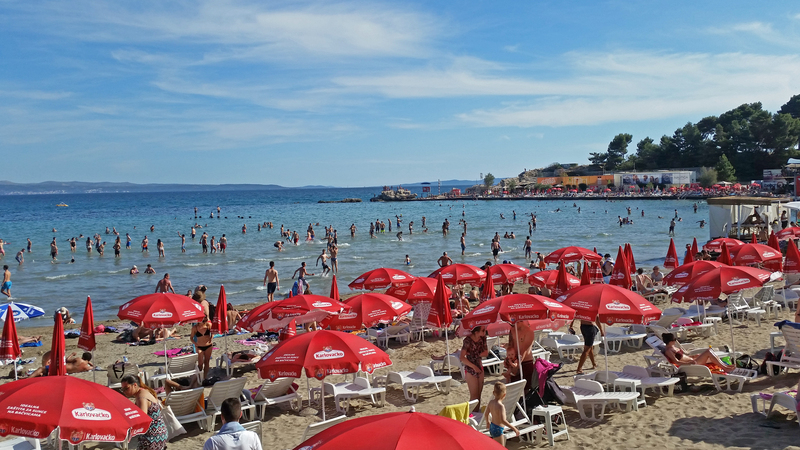 Another example is Split’s Bacvice Beach, just a short walk from the historical centre. While this beach is definitely convenient, it is so overcrowded that people were almost sunbathing on top of each other! Yes, a trip to one of Croatia’s top beaches will hurt your wallet! Expect to pay a higher price for the comfort of a sun lounger, coffee, ice cream and sometimes a Euro for the use of the outdoor shower or toilet. If you plan on spending the day, bring your own lunches or fork out for anything up to 30 euro for a meal per person. Oh and if you plan on driving, expect to pay quite a lot to park in designated parking spots (if you can find one). Surprisingly, Croatia’s beaches are some of the cleanest we had visited in Europe so far. However, on popular beaches you will find empty glass bottles, beer cans, (condoms) and cigarette butts everywhere. If you’re looking for a clean and safe beach for your family, take a look at the Blue Flag Beach website. They have a number of beautiful beaches that are known for their cleanliness. I found that while Makarska’s beach was incredibly busy, it was very clean and well looked after despite its number of daily visitors. It is listed as a Blue Flag Beach. 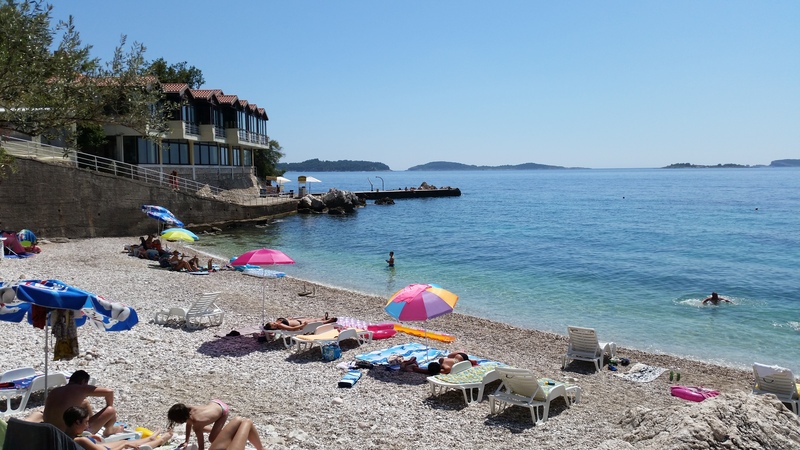 We thankfully didn’t experience any theft during our visits to any of Croatia’s beaches, but as with any busy beach (no matter where you are in the world) you should be carefully with your belongings. Flashing your expensive Gucci sunglasses, ipods or Nikon cameras on popular beaches may not be the best idea as you are advertising your valuables to thieves. While you and your partner take a short dip in the water, your precious belongings are unattended, making it an easy steal for thieves. We had heard of people’s wallets being stolen as well as cameras while on busy beaches, so always watch where you put your belongings and take it in turns to take a swim if lockers are not available on the beach. So what beach should we go instead you ask? We found the best non crowded beaches by asking each of our local hosts where they go to the beach. Instead of busy beaches full of tourists, we found some amazing beaches with only a handful of people. These are often found in small hidden coves or out of town beach that tourists don’t know how to find or get to. Popovići Beach near Dubrovnik. Well worth the drive and the hike down! Prat beach on the Dubrovnik Riviera. One of the many local beaches with only a handful of people! By taking our hosts advice, we were able to spend some peaceful and relaxing days on the beach without paying high sun lounger fees, fight for a prime spot or have people walk over us. 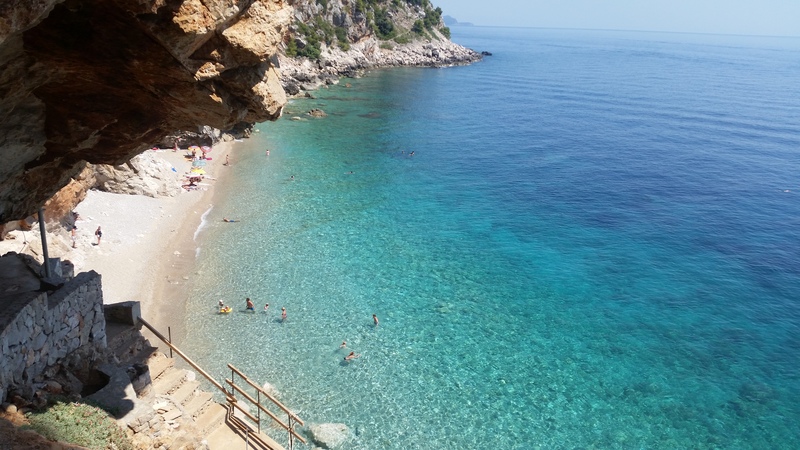 While visiting some of the top beaches in Croatia can certainly be enjoyable, we found the quieter local beaches to offer a much more enjoyable experience, with some of them rivaling the hyped up beaches completely! (In OHO). Please be aware that local beaches often do not have the same facilities as tourist beaches, so come prepared with plenty of water and an umbrella for shade, and always get your host to provide you with detailed directions so you do not go off on a wild goose chase, although sometimes getting lost (like we did) means you find even better beaches! 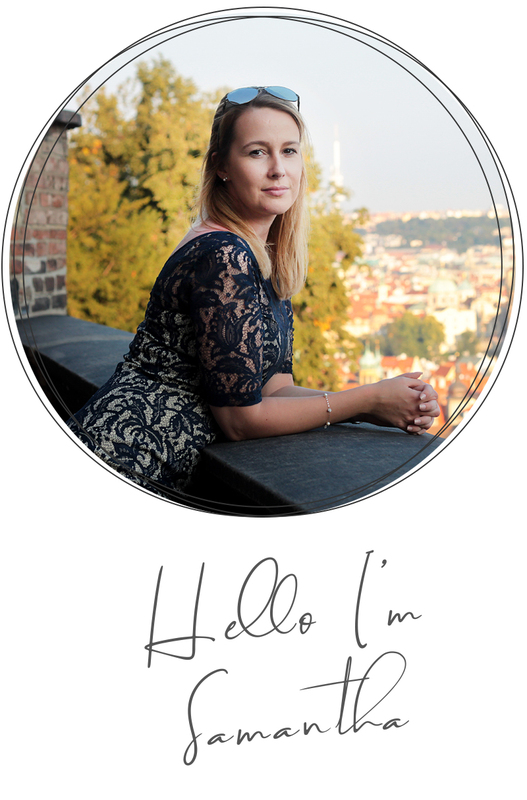 Have you been to Croatia? Where was your favourite beach? Yes exactly 🙂 We almost always ask a local where THEY go for the beach and we always find amazing places! Yeah, we were in Croatia and overcrowded beaches are only near the centre. If you are walking a little you’ll see empty clean beaches. 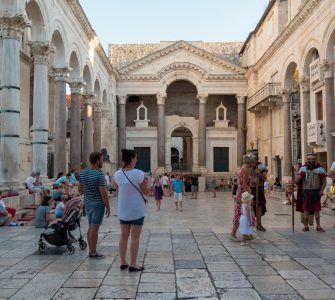 You can also just take a drive out of the city of take a bus from Dubrovnik towards the airport. You’ll see plenty of empty beaches from the road.